Grab your family and friends this April and go birding as spring migration begins throughout your favorite Texas State Parks. From the beaches of the Gulf Coast to the mountains of Big Bend, each region of the state offers a unique birding experience with more than 630 bird species statewide. More than a dozen Texas State Parks have been designated as having the “best birding blinds” that offer prime perches for viewing and photographing our feathered friends. Some parks that made the list include Abilene, Blanco, Brazos, Devils Sinkhole, Falcon, Fort Parker, Franklin Mountains, Goliad, Lake Mineral Wells, Palo Duro Canyon, Pedernales Falls and San Angelo. 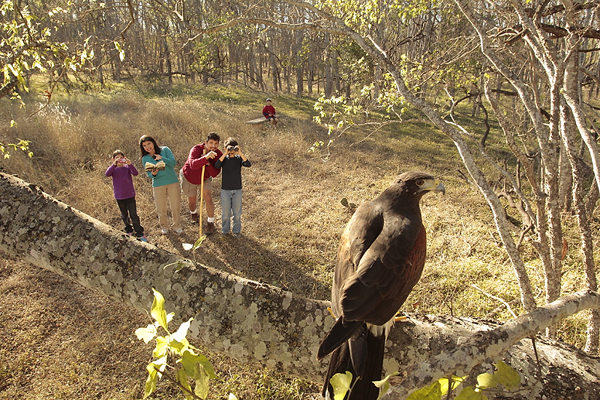 Birding is easy for families and friends of all ages and levels of expertise. A one-of-a-kind birding experience for beginning and advanced birders alike awaits at the World Birding Center (WBC) headquarters at Bentsen-Rio Grande Valley State Park in Mission. Bentsen is one of three Rio Grande Valley state parks that double as WBC sites. At Bentsen, visitors can hike or ride bicycles to see a dazzling variety of birds, many of which visit from Mexico and points further south. Bird feeding and watering stations and photo blinds throughout the park, as well as a two-story hawk watch tower, provide excellent birdingopportunities. Beginning birders can download an Introduction to Birding (PDF) to learn what to look and listen for in their favorite state park. 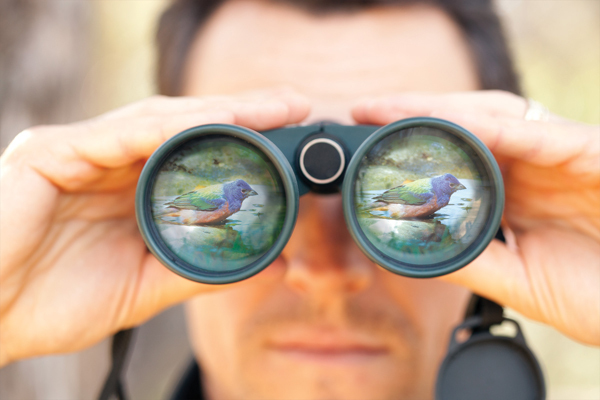 Even people who are new to birding can have fun spotting easily identifiable species, like northern cardinals, green jays, great kiskadees, painted buntings, roseate spoonbills and brown pelicans. This year marks the 18th annual Great Texas Birding Classic being held from April 15 to May 15. The Birding classic follows the Great Texas Wildlife Trail, a set of driving maps to wildlife viewing sites throughout the state, and these maps include the Great Texas Coastal Birding Trail, the nation’s first trail of its kind. To learn more about birding opportunities and birding facilities, visit: http://www.texasstateparks.org/birding.